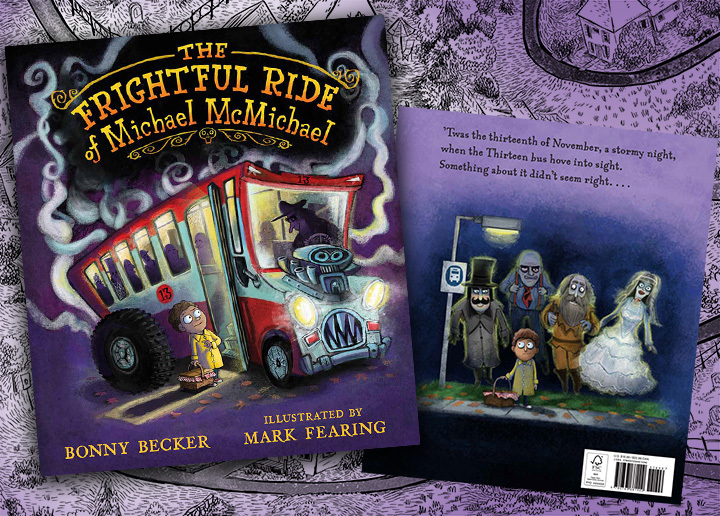 At the Horror Writers Association website you can read a great interview with author Bonny Becker and I about our new picture book, The Frightful Ride of Michael McMichael. Two of my books released by Candlewick Press are in the running for the 2019 Children's Choice Picture Book Award in Washington State! The list is an awesome selection of great books, honored to be on it at all. Giant Pants finds itself included on a list of exceptional picture books in this years Texas 2x2 list! This list is selected by the Texas Round Table, a unit of the Texas Library Association. A giant book for a giant state! Books4YourKids blog has a giant review of Giant Pants! "...My students LOVED Fearing's brightly colorful illustrations, each of which is packed with details and humor. The pace of Giant Pants is perfect for read-out-loud..."
Kirkus has nice things to say about Giant Pants. Read their entire review by clicking here! "...The central joke in Fearing’s simple text will tickle toddlers as will the digitally created, bright, cartoon illustrations of the ginger-haired white giant failing miserably to protect his dignity while he acts like a toddler himself..."
Publishers Weekly reviewed Giant Pants and found lots to laugh about and enjoy! 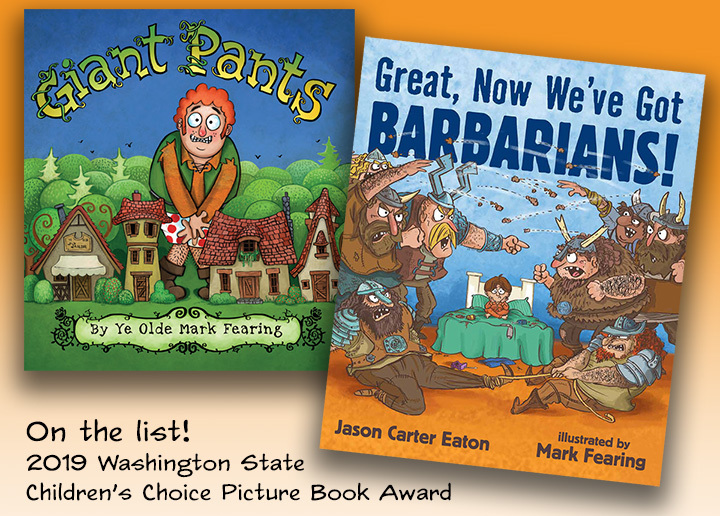 "...Fearing (The Great Thanksgiving Escape) gives readers lots to laugh about..."
Giant Pants has been called out as FUN STUFF for 2017 picture books by Parent's Choice. I agree. I think it's fun stuff too! A great call-out and review of Chicken Story Time at The Small Protagonist. Awesome to hear from so many people how much they love reading this book to audiences. "... The cartoonish barbarians, with their scruffy beards, horned helmets, scars and tattoos are like overgrown puppies, and just as threatening. Even dyed-in-the-wool slobs won't mind being on the receiving end of this fun cautionary tale." Barbarians were welcomed and reviewed at Kirkus. Needless to say Great, Now We've Got Barbarians was a hit and they said many nice things so the barbarians were pleased as punch. Or grog ... or whatever barbarians drink. "This book may make the prospect of a barbarian invasion seem at least initially appealing, but adults will appreciate the message at its heart. Fearing’s cheeky style perfectly accompanies these grungy, Viking-helmeted, oddly endearing warriors ... "
A great review for Great, Now We've Got Barbarians from Kid Lit Reviews. "Great, Now We’ve Got Barbarians! What a wonderful title. Immediately I opened the cover and laughed at each spread. Details upon happy details fill the spreads." Chicken Story Time is the December Editor's Pick at Barnes & Noble! This will make the chickens very happy! The Winter 2016-2017 Kids' Indie Next List called Chicken Story Time a new story time classic! "Will the librarian figure out how to bring calm back to the library? A fun – and noisy – new story time classic!" Publishers Weekly praises Chicken Story Time! "Asher’s (Here Comes Gosling!) poker-faced, repeating text (“One library. One story. Many children. Many chickens”) offers the perfect setup for Fearing’s wonderfully silly and well-choreographed cartooning, which proves that children and chickens are equally skilled at creating chaos." Chicken Story Time was reviewed and the chickens at Kirkus loved it! And the people too. Kirkus calls out Dilly Dally Daisy! Let's hope she's not too busy to respond. "An ode to young daydreamers—and tempting distractions—everywhere." Tommy Goes to Washington! Tommy Can't stop was picked as an outstanding picture book in May by The Washington Post. From the review by Kathie Meizner "...Here, it’s okay if Tommy can’t stop: He’s got talent! Mark Fearing’s goggle-eyed characters and cartoon illustrations suit this light-hearted tale, with every page full of color and action... "
Publishers Weekly called out Tommy Can't Stop recenlty! ...Fearing’s (The Great Thanksgiving Escape) cartooning has the breezy feel of an animated short. The hero’s mop hair and wide eyes make him the very picture of irrepressibility, and the arcing, dashed lines that Fearing uses to showcase Tommy’s gravity-defying moves become a fun running joke. Tommy Can't Stop brought down the house with an excellent review in Kirkus! "...Broadway veteran and middle-grade novelist Federle has good fun with language and similes in his picture-book debut. His little tapper is a strong and sturdy boy who finds the perfect outlet for his volcanic energy. Fearing’s full-bleed artwork is full of motion, with his Tommy sporting a mop of blond hair and googly eyes..."
The Great Thanksgiving Escape was called out as an exceptional wintry picture book in The Star Tribune! It's another list filled with great books. Speaking for Gavin and Rhonda I can say we are honored to be included! The Horn Book called out the Great Thanksgiving Escape as a 2014 Holiday High Note! It's agreat honor to be on this list of amazing books. Thanksgiving is only once a year, but we're already counting down to the next one! Publishers Weekly chose The Great Thanksgivng Escape as one of the top Thanksgiving Books to be thanksful for. The Great Thanksgivng Escape shares the list with many wonderful titles. The Great Thanksgiving Escape was called out in a slideshow collection of harvest and Thanksgiving themed books in the New York Times online book section. It features some awesome autumn themed books and I'm thrilled that The Great Thanksgiving Escape is part of it! Barnes & Noble can't escape The Great Thanksgiving Escape! Stop by any Barnes & Noble store on Saturday, November 15th for storytime and you will hear The Great Thanksgiving Escape being read! That's right, The Great Thanksgiving Escape is the special storytime book in November at all 650 Barnes & Noble stores! I'll be reading it at the Banres & Noble in Tiragrd, Oregon. There's no escaping The Great Thanksgiving Escape! I will be a guest at the 15th Annual Celebration of Minnesota Children's Authors and Illustrators. A marvelous array of writers and illustratos will be making their way to The Anderson Center in Red Wing Minnesota on Saturday September 20th. I'm thrilled to participate and look forward to listening to a great line-up of speakers. The Great Thanksgiving Escape, caught again! The Great Thanksgiving Escape was reviewed in Publishes Weekly recently. Said the PW review “...Fearing revels in his portraits of cinematically exaggerated horrors like the “Hall of Aunts!” (“We’ll be pinched and smothered for sure!” cries Rhonda) and a basement full of teenage “zombies” staring at their digital devices. Rhonda’s advice to Gavin—“Sometimes you have to make your own fun”—will serve readers well on Thanksgiving Day or any time of year." Parade says Martha a food favorite! How Martha Saved Her Parents from Green Beans was chosen an outstanding food-themed picture book by Parade. It shares the list with some OUTSTANDING books and it's great to be included on the list! The Great Thanksgiving Escape was recently reviewed by Kirkus! "...Graphic novelist and illustrator Fearing’s first solo picture book, based on his memories of Thanksgivings past, is a hoot for all ages. Kids will identify, and parents will reminisce. The digitally manipulated colored-pencil illustrations from a kid’s-eye view layer the humor on an exaggeratedly goofy text. A holiday offering that definitely makes a fun all its own." Martha is great fun to read aloud! 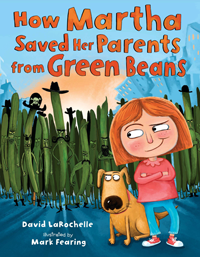 How Martha Saved Her Parents from Green Beans has been named an honor book in the Wanda Gág Read Aloud Awards. This award is sponsored by the Cirriculum Materials Center at the The Livingston Lord Library at Minnesota State University Moorehead, Moorehead Minnesota. Reading Martha aloud to a group is great fun but it's just as fun to read aloud to yourself when no one is in earshot! Martha keeps growing new readers! How Martha Saved Her Parents from Green Beans has been named one of 15 finalists for the Buckaroo Book Award which is the children's choice award in the state that has the American Buffalo as its offical state mammal. I am talking about Wyoming of course! The Multnomah County Library and The Society of Children's Book Writers and Illustrators, Oregon Chapter are hosting a show in the Collins Gallery featuring the many stages involved in creating illustrated books for young readers. The show features author/illustrators and illustrators from Oregon and SW Washington. There is an opening reception on December 21, noon-2pm where the artists will discuss their work and answer questions. Mark will mainly be answering questions about winterizing plumbing but he will also talk about book making. Mark will have samples from many of the books he has worked on from sketchs to dummy books and revised pages. USA Today selects A Very Witchy Spelling Bee as an outstanding Halloween book for 2013! For most young celebrants, Halloween (October 31 for those who have yet to chose their costumes) consists of more treats than tricks. 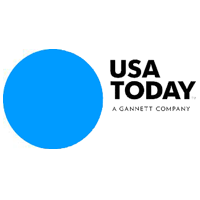 USA TODAY's Bob Minzesheimer recommends four illustrated books featuring witches, ghosts and vampires. Most are not all that scary and should last long after the candy is gone. Huff Post Selects A Very Witchy Spelling Bee as a top Halloween book for 2013! A list of ghoulish and fiendish books perfect for blustery October days writes The Huffington Post's Devon Corneal when she made a short list of great Halloween books for 2013. And don't worry, they aren't all scary -- in fact some are downright cute and all are guaranteed to entertain even your more particular kids. The Book That Eats People eating The New York Times too! The Book That Eats People was mentioned in the Motherlode blog of The New York Times as a book worthy of making the trip when you have to pack things up and move. It couldn’t be happier. New place, new things to eat! The Book That Eats People a Dreadful Classic! The New York Times Motherlode blog picked (I hope with gloves) The Book That Eats People as a classic picture book that can fill you with dread. I think that’s a good thing. David Kamp calls EARTHLING! "an exhilerating hoot." EARTHLING! Wins the Spirit of Oregon award for outstanding graphic novel in 2012! 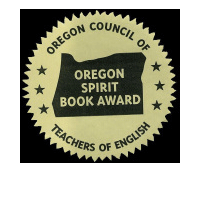 The Oregon Council of Teachers of English recognized EARTHLING! as an outstanding graphic novel in 2012. Thanks to all the teachers and students who supported the book! The Book That Eats People is loose in North Carolina! The Book That Eats People was selected as the outstanding picture book in 2011-2012 by the North Carolina Children’s Book Award (NCCBA). The book promises not to eat anyone in North Carolina for two years. Illustrations from The Three Little Aliens and the Big Bad Robot were selected for the 2011-2012 Society of Illustrators of New York juried illustration showcase called Original Art: The Fine Art of Children’s Book Illustration.